When they painted "Heretics" on our barn and set fire to it, I thought that was the worst it could get. When she is granted the opportunity to pursue her lifelong dream of becoming an apothecary, Elloren joins her brothers at the prestigious Verpax University to embrace a destiny of her own, free from the shadow of her grandmother's legacy. 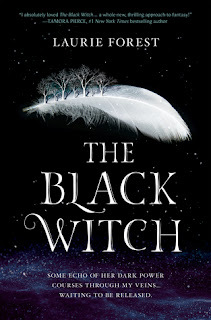 But she soon realizes that the university, which admits all manner of people—including the fire-wielding, winged Icarals, the sworn enemies of all Gardnerians—is a treacherous place for the granddaughter of the Black Witch. As evil looms on the horizon and the pressure to live up to her heritage builds, everything Elloren thought she knew will be challenged and torn away. Her best hope of survival may be among the most unlikely band of misfits…if only she can find the courage to trust those she's been taught to hate and fear. I absolutely loved reading these books! I loved how the magic world, though Elloren knew less about magic and how it worked than her parents. But that seemed to be a deliberate choice on the part of her uncle! And also, these characters were absolutely fantastic! Wandfasted introduced us to this amazing, epic world, with some really harsh inequalities. Like between the different people, there's a lot of tension. And then there's patriarchy, and how her grandfather has control over her, that he was trying to get her to wandfast to this particularly awful person. She did manage to wandfast to someone else, who she doesn't like but they work things out in the end, which was really great! 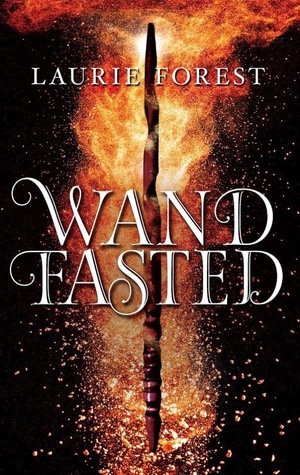 The Black Witch stars the daughter of the couple of Wandfasted. And doing some math, it seems like they only got 6 years together, which is just so sad. They were so happy together, and they were the good guys and that they only got that short time, it's heart-wrenching! There was a lot of unfairness in this world, and in the beginning, Elloren was mostly sheltered from them. But as she learns about them as well as learning about the world in her classes, she understands better. And wants to fight, which lead to that awesome ending! I just really enjoyed these books so much, and I can't wait to read more! Reason Why: Sounded really great, and they're Prequel & Sequel Challenge 2018 Books! And The Black Witch is a DAC Book!